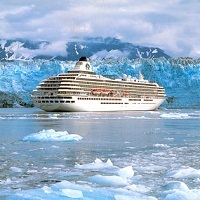 The enchanting expanse of the seas can be a great sight for the tourist. And, if one adds a personalized cruise to that equation, it only gets better. YatraMasti Travel & Visa Services Private Limited is a New Delhi based Travel Agent offering the best Cruise Services. The timing and budget related specifications of the travelers are duly considered during the planning, and the Cruise Services are cost-effective as well as exceptionally luxurious. For sure, the Cruise Services provide an opportunity that may be once in a lifetime!